Today I would like to present the soldering machines of electronic components in the printed circuits’ manufacturing process. 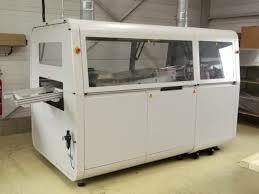 The soldering machines are used when the components are surface mounted when creating the circuit board (see the previous section for the definition of surface mounted components « Electronic surface mount components: the pick-and-place machines » ). There are two commonly used methods: the reflow soldering method and the method of wave soldering. Let’s discover together the specifics of each method. 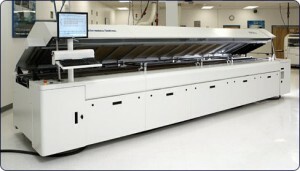 This method is used for cards comprising only SMD components or components that can then be soldered by the reflow soldering technique. The most modern method used still remains the welding vapor. The component is heated for about 10 seconds at a defined temperature. The principle of wave soldering is used when the circuit consists of CMS and traditional components. Must file a dot of glue to the future locations of the components. The method of wave soldering is to pass automatically, by conveying the circuit and causing components through a wave soldering tin presentations on the circuit components. Since the 1rst of July 2006, a European Directive prohibits the use of lead. Changes trained by this decision directly affected the electronics sector that has taken its provisions on this technological change. In fact, before this date solders were made tin-lead. Now the new alloys for brazing are made from tin, silver or copper. 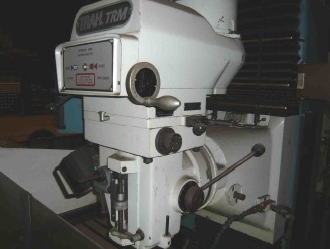 Do not hesitate to post your used welding machines for printed circuits on our catalogue on-line as well as check out all our used industrial machines for the electronic sector on Exapro.com. Older PostHungarian food industry : between CMEA and EU, what to choose?